Ba LT we should have had online streaming….. Anyway thanks for the pics…. It is disrespectful of the highest order. Only Queens, Kings and Presidents should be attending this high important event. Charlotte has done a great job through out this process. 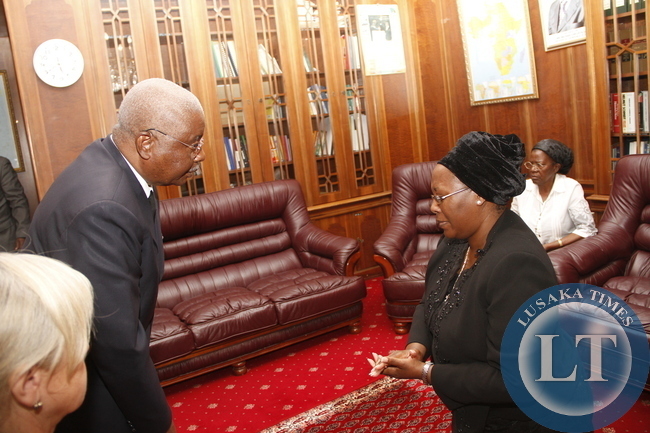 I see her everyday, never get tired, and behave more natural than the “real Zambians”. Guy Scott should have just been the president. What a racist earth. hmmmm ba mugabe tabali bwino nabo. amolu ukufimba so around the ankle area. sekulu needs to rest also. but if he does, if fears the young turks in his country will easily be bought by the west and give up on the land reforms. soon Zimbabwe would have white presidents like a country near them we know. exchanging their sovereignty, with a know enemy, for some pieces of gold and so called good economic indicators. @Jinja: Thank you for sharing. 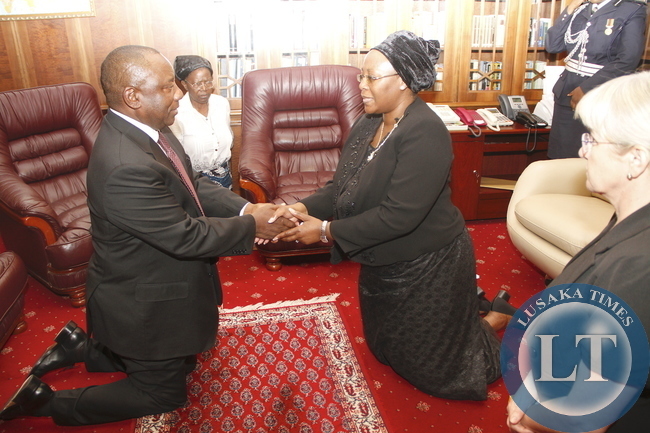 Of course it would have happened in Zambia. 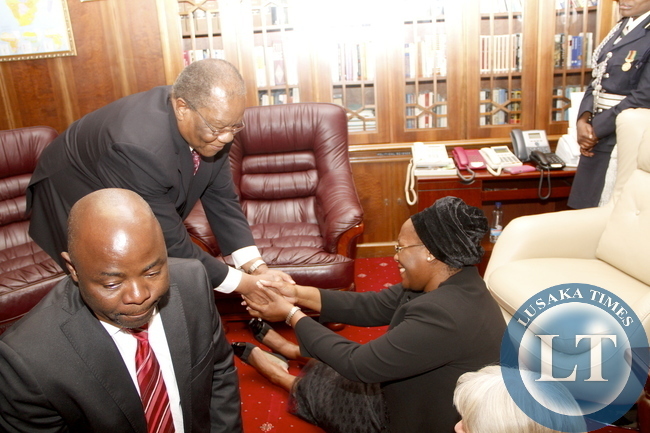 Thank god we have been saved because Sata started behaving like Mugabe?? 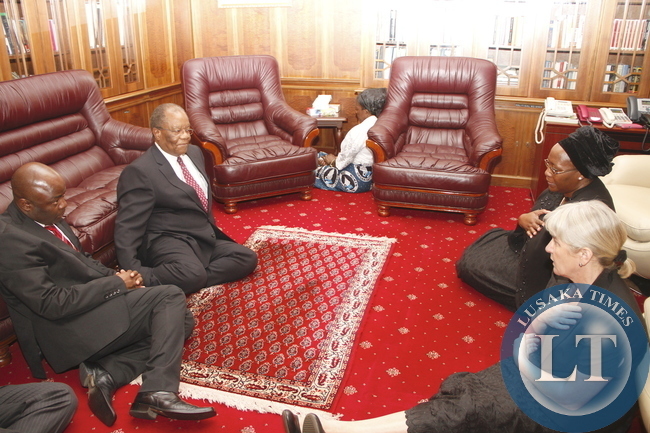 That Mugabe Man has serious influence to these old Papas. can not wait for his day to come. 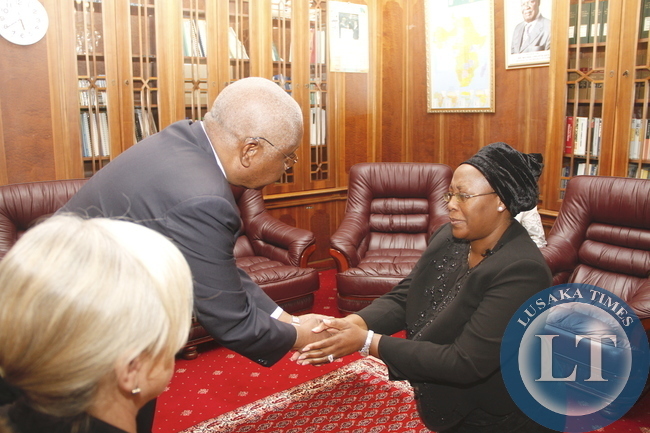 Maybe SADC will move forward. We need young Leadership. 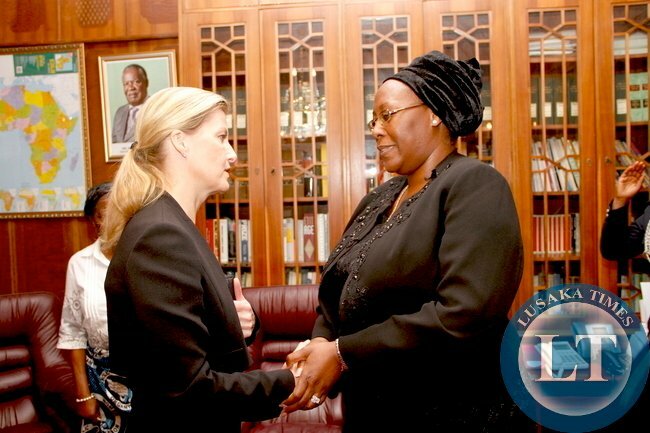 On another Note: Credit to Madam Guy Scott, She has really supported Ba Mama Kaseba. I think let Guy Scott be made president up to 2016. its ok. 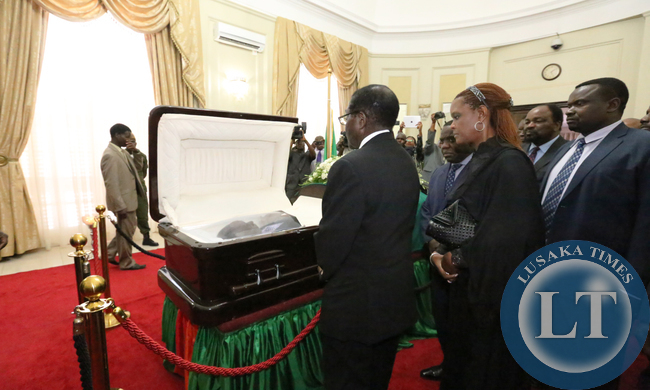 Thank you Tanzanians are mourning with us. Bravo Mugabe, At least you have stood firmly against the white rulers of this world so called Europeans!!!! Also, Thanks for coming to mourn our president. 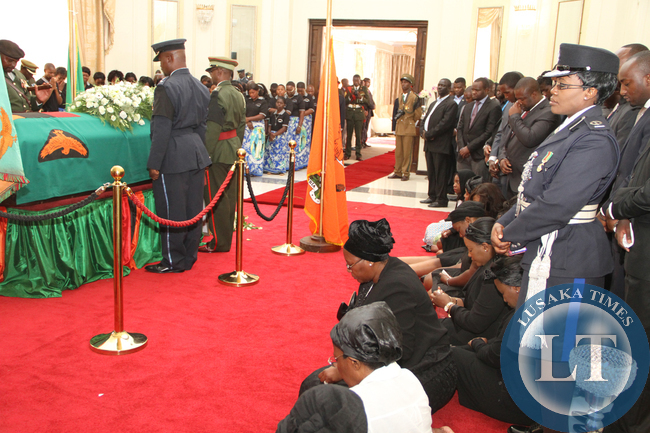 May the soul Michael Chilufya Sata rest in peace. 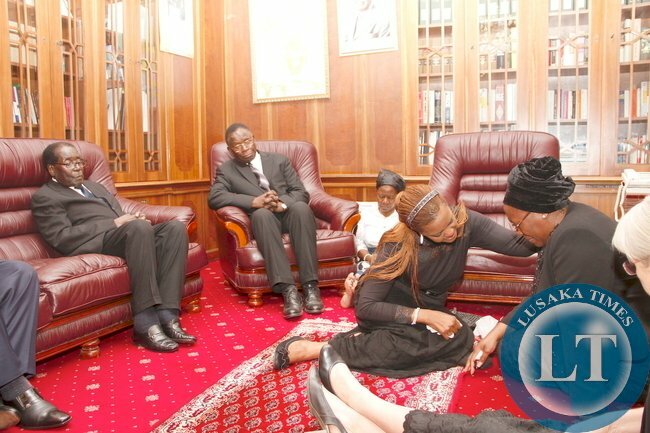 Those for Mugabe are not swollen feet. You guys don’t know bullet-proof socks? @Nostradamus – it’s not racism but the constitution and we should respect that or else we become ungovernable. Well done in your reply you are to the point. Unfortunately people like Nostradamus think like fools. Thank you LT for this photo update. No mushota maybe we just dont have enough friends. you remember how we wasted alot of time help the sub region get liberated? 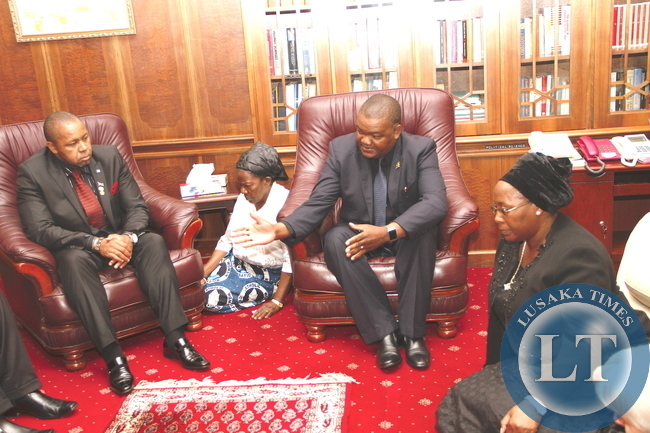 now zambians it time to be selfish and concentrate on building our country. Point of Correction, dear collegues. 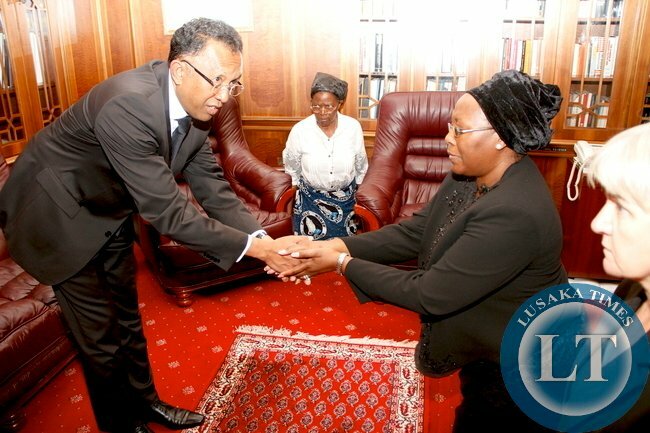 The Tanzanian Prime Minister is Mizengo Pinda and NOT Dr Gharib Mohamed Billal. Dr Billal is the Vice President. The two are not the same and hence their functions. Yes, and is not indigenous Tanzanian, he looks Zanzibarian. He will never be president anyway, with that name. 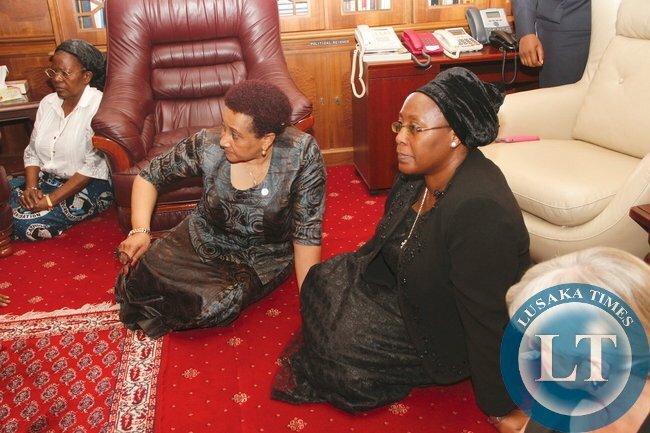 Look at Zambia today, vice-president his name is Guy Scott. Some people can be petty. I wonder just how ‘shiny’ their lives are. I suggest you keep quiet when you have nothing to say. It is a sign of growing up. Grow up and get a life. Thanks ba LT for the photos, they speak better than words!! Thanks LT for bringing us closer to home. The pictures are worth thousands of words. Job well done on this one! 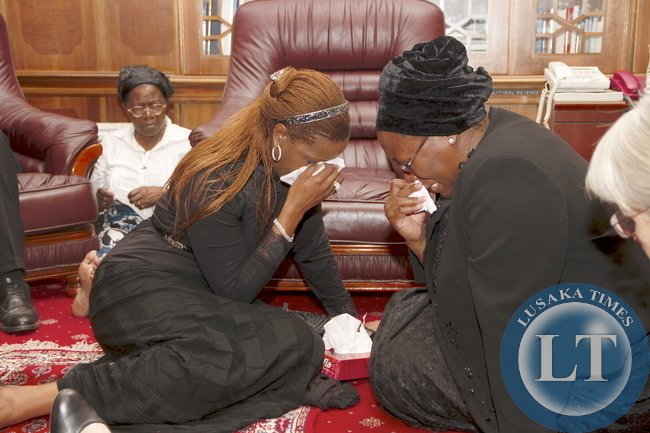 To the Sata family, we are with you in mourning. 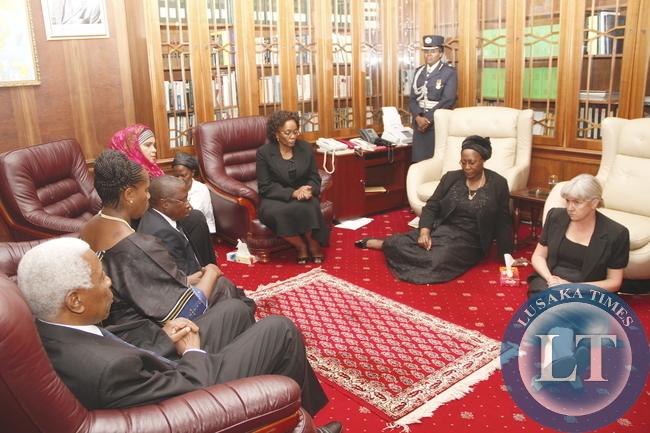 Sitting on the floor, by the First Lady is a cultural statement that proud Africans should take note of. Twa tasha mayo! 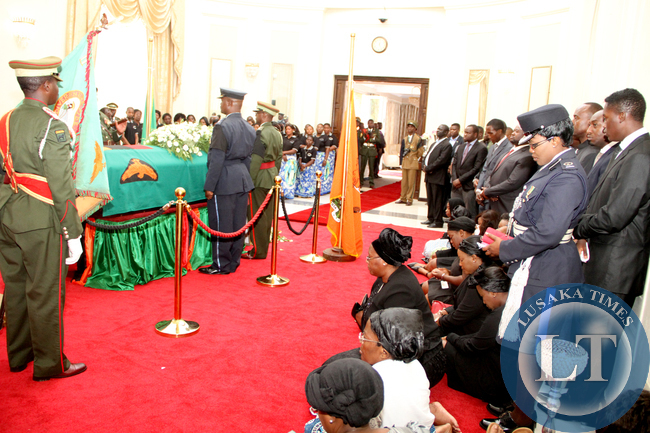 May the soul of President Michael Chilufya Sata rest in eternal peace. 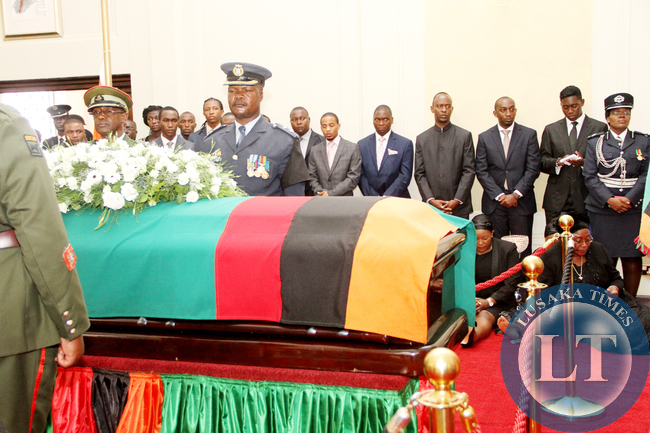 Moving Pictures,am touched honestly speaking ,Thanks LT.Awaiting the for the burial photos. Yeah, I like Grace Gucci Mugabe, too. Not to marry tough you can have her! May Rob have many more years. She presents well in those pics, caring and consoling. I wish for Christina, a better time ahead. 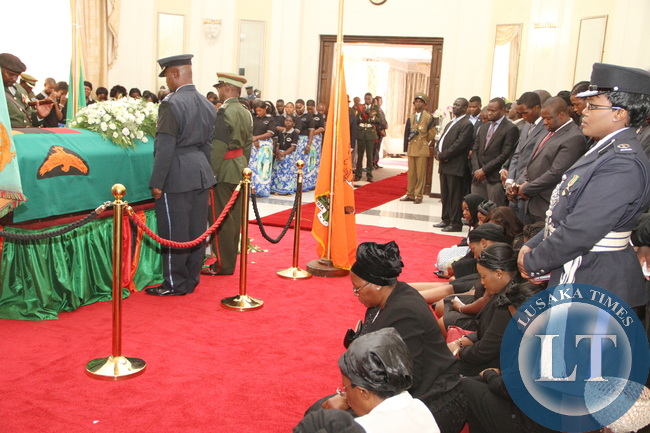 She truly has been very humble and genuinely mourned her partner. There was no fake-ness in her sorrow. 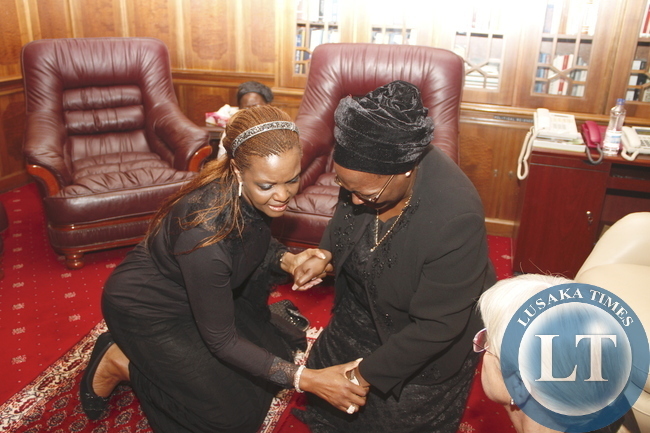 Pictures of her mourning, have reduced me to tears several times. We miss that mega-watts smile of hers, hope we can put it back. Maybe chap in Pic.22 can jolly her along for us as whatever he said has cheered her no end. Two weeks has been a long time to be be in such a psychological space. I would urge PF to arrange a good holiday for her abroad. A nice Spa holiday, where she can pamper her body and mind and eat wholesome food. A little shopping and sightseeing will do her some good. Nkani ku yipa mwe bantu. I thought the guy in pic. 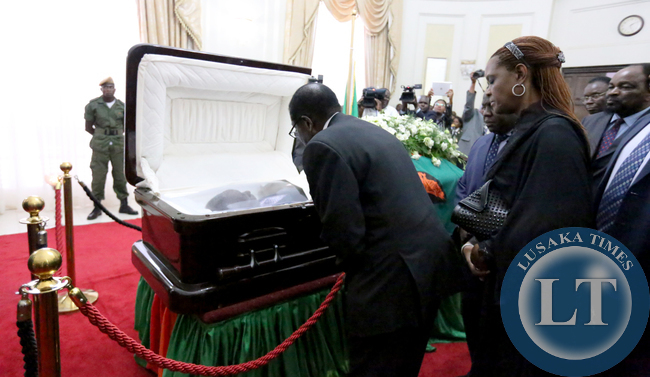 14 was FJT Chiluba back from the dead. 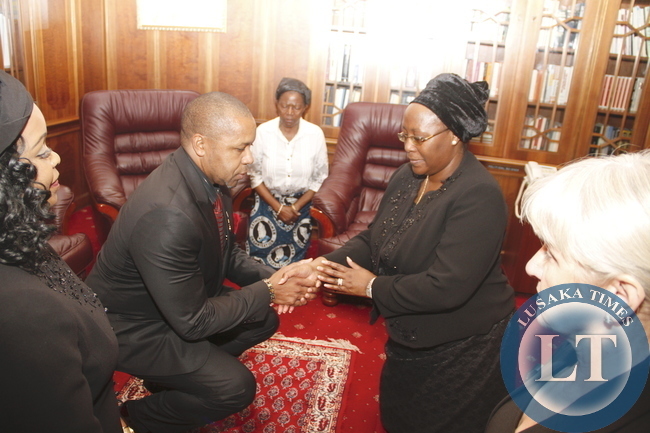 Great to see the ‘Lozi’ culture of kneeling and squatting and bringing the hands together in appreciation is enshrined across the African continent… every represented African leader could have made the Litunga proud. I have to agree with comments about Scott’s wife… this is woman is as African as they come. 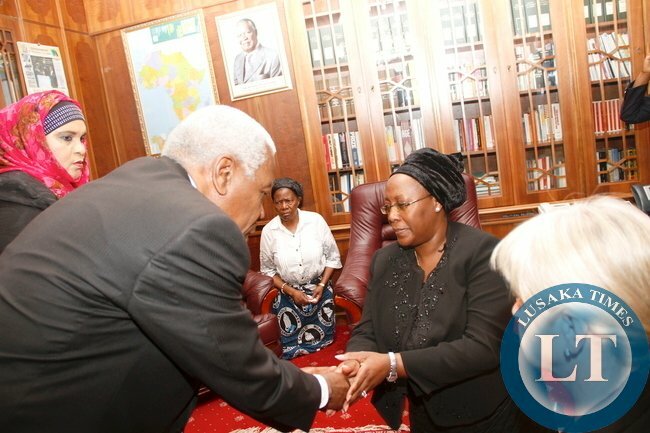 This s**pid constitution that Kafupi and Sata created is a disgrace… but yay it has to be respected flawed as it may be. Now who is this my my my, angel beauty sitting next to this former Nigerian old president?